In a city with as many types of cuisine as Barcelona, it’s easy to eat very well. But, as a discerning traveller, you want the best of the best. This list of restaurants is just that: the top Michelin star restaurants in Barcelona. Is your mouth watering yet? No? Read on to discover the very finest restaurants in Barcelona that have earned a coveted Michelin star. This 2 star restaurant, located near the water in the center of Barcelona, is aptly named; there are over 500 different wines on offer here. The cuisine is a modern style, with a firm grounding in mediterranean traditions. Many dishes are seafood based, using only the fresh, local ingredients. Lasarte is famous for its creativity and innovation with food. Unusual ingredients and unusual combinations of ingredients are the norm here. New flavors, new textures, and dishes you may never have encountered, and may never encounter again, are the norm here. This 2 star restaurant is in the middle of the city, and is well worth a visit. 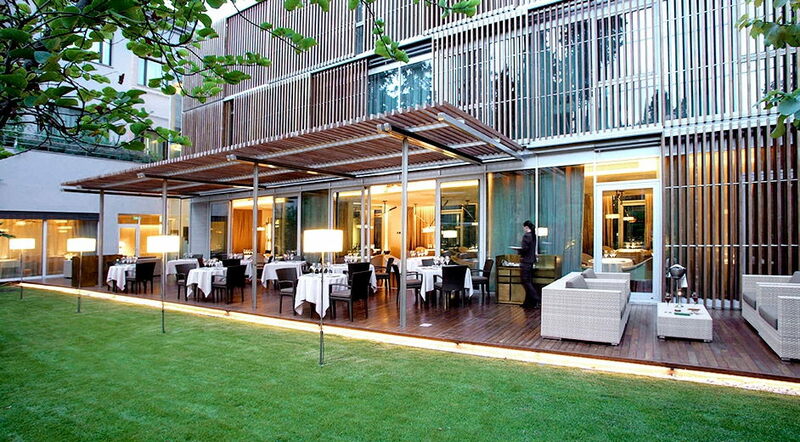 Another 2 star restaurant, Àbac is similar to Lasarte in it’s modern, innovative cuisine. Situated in a hotel sharing its name, on the edge of the city, Àbac boasts a luxurious, designer dining room for up to 56 guests. New textures and preparations await here, along with amazing presentation and a comfortable ambience to make for a fabulous dinner. A 1 star restaurant, Gaig impresses with its dedication to the cutting edge. The ultra modern decor and cuisine offer a very different feel to many of the restaurants on this list. These dishes are more traditional than the creative cuisine which many of the Barcelona restaurants feature, with modernized versions of common dishes. Unique in Barcelona as the only Michelin starred Japanese restaurant in the city, and one of few in Spain. Koy Shunka offers delicious Japanese cuisine, made with the freshest mediterranean ingredients. An unobstructed view of the kitchen means you get to see your meal prepared in front of you, another unique aspect of the restaurant. Well worth a visit during your stay in Barcelona. Neichel is a 1 star restaurant specializing in international cuisine. The chefs here have mastered a variety of styles, and the food here replaces the unpredictability of creative cuisine with the comfort of more conventional dishes. Though you may not go home from this meal having tried something new and life changing, everything here is delicious and prepared to the highest standards. Located about 50 minutes outside of the city center, Saint Pau is the only three star restaurant in the area. Artfully prepared catalonian cuisine is the specialty here; each dish is as beautiful as it is delicious. Coupled with that fantastic ocean view, this is sure to be an unforgettable meal.